North Bullitt High School's 'Duo-Day' caused more controversy than school spirit. 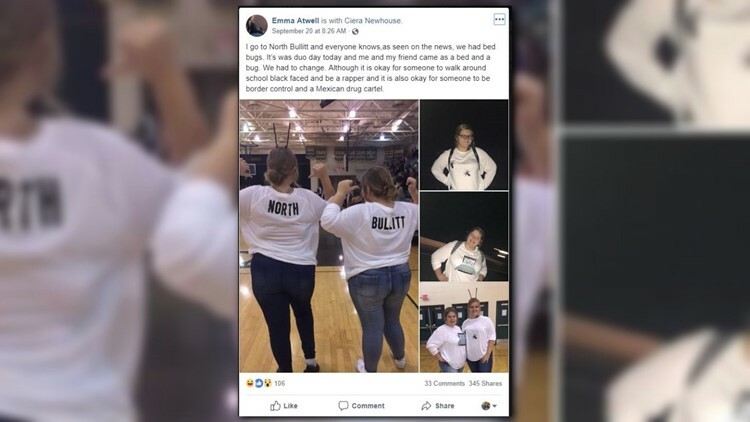 LOUISVILLE, Ky. (WHAS11) — North Bullitt High School is responding after a Facebook post was shared more 345 times, accusing the high school of singling out two girls who dressed as ‘bed bugs,’ but claiming the school allowed another student to wear blackface during the school’s dress-up day. According to the Facebook post, it was ‘duo-day’ at North Bullitt. The girls paired as bed bugs, one wearing a white tee with a bed on it, the other in a white tee with bugs on it. The school closed its doors Friday, September 14 through the weekend after bed bugs were found. The district had told WHAS 11 News then that even though it is unlikely for bed bugs to infest a school they are inspecting the school and are taking "aggressive measures" to make sure every room, including office areas and lockers, are being treated. Principal Britt said all students dressed inappropriately were asked to fix the problem and were then sent back to class, including the student dressed as yin and yang. 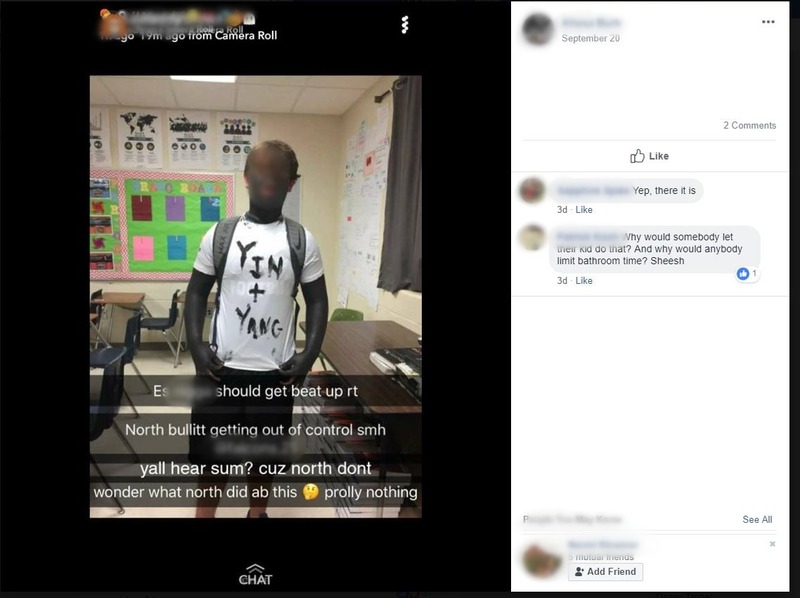 Posts on Facebook suggested the student wearing blackface was not asked to clean-off until 5th period, but North Bullitt High could not confirm what time students were asked to change. (Post contains sensitive language). Principal Britt said there are 1300 students and only three administrators at school that day, so kids were asked to change as soon as problems were noticed. Principal Britt said North Bullitt High “makes every effort to ensure the safety, well-being and inclusion” of students, faculty and staff.